Sharon Isbin, the Minneapolis native who is one of the reigning classical guitarists on the concert scene, has a new CD that includes some surprising guests. Nancy Wilson of the band Heart, for instance. Wilson joins Isbin on the Heart song "Dreamboat Annie," contributing both guitar and vocals to the track, which includes a bossa nova instrumental at the end. It's no "Crazy on You," but it's a pleasant cover. In liner notes, Isbin talks about loving Heart when she was in college (at Yale) and cites Wilson as one of her heros. 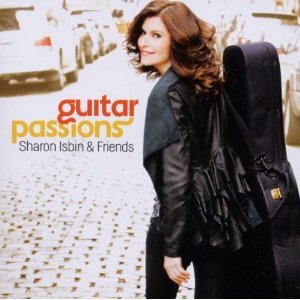 Other guests on the Latin-themed CD, "Guitar Passions" (Sony Masterworks) are rock guitarist Steve Vai, Stanley Jordan, Romero Lubambo, Steve Morse, Rosa Passos and sax player Paul Winter. Isbin's last CD, 2009's "Journey to the New World," won a Grammy Award.